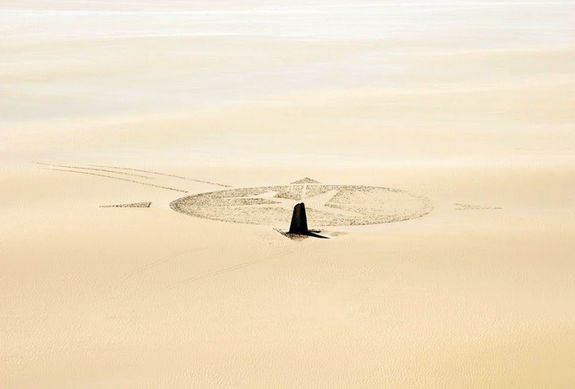 An article about a monument designed to be visible from satellite that is in the middle of the Sahara in Niger. The memorial was constructed in 2007 by the victim’s families in memory of the 1989 flight 772 bombing. The monument is constructed from black stones and the plaque that bears the names of the victims is a wing from the wreckage of the plane. Here are more images of the construction which seems to have been quite an undertaking since it’s in the middle of the Sahara.